I do not think players invited back by a site with a free bonus should be allowed in the rooms with the pay to play players. I will venture to say that most players in any site are there for entertainment and not withdrawals. This fact alone should allow them a playing arena that is not flooded with those who have received a bonus to come back after NOT depositing for a specific amount of time. Why should these bonus players be rewarded with a chance to win pots that many loyal players, depositing within the guidelines of a site, PAY for the right to win? I say make a special room for these bonus players to play. Design it so that whoever wins the most games receives a CASH bonus with which to enter the pay to play rooms. Make it like a tournament, similar to the tourneys the pay to play members participate in. The rules that allow these bonus players into the pay to play rooms are shaded and cover a lot of bases. The fact that many of them have deposited AT ALL, no matter when the last deposit was, allow them into the pay to play rooms. Most of the time they are not eligible for the chat games bonuses, but still affect those members who are actively depositing in order to be able to win these bonuses. One way is by being in the chatlist lineup, affecting the outcome of the players who could have won had they had that spot in the list being taken by a bonus player who cannot accept the chat game award. Let's say the house has a $50 minimum withdrawal policy. I am invited back to a site where I left for one reason or another with a $25 welcome back bonus. In this site rules I CAN withdraw the amount of my bonus ONLY after I meet whatever playthrough rules they have laid out in ther terms and conditions. Also stated in the rules is that I will LOSE any other winnings when I request a withdrawal. So I win a few or even several games in the pay to play room. I request a withdrawal. I am turned down due to the fact that I can only request $25 and the minimum withdrawal is $50. I lose all monies in my account and am on my happy way losing NOTHING, but in the meantime how much have I knocked those who paid to win those pots out of? Do I care? Yes!!!! I do care! Those I call friends actually mean something to me! I care about how they are being treated and how I treat them! 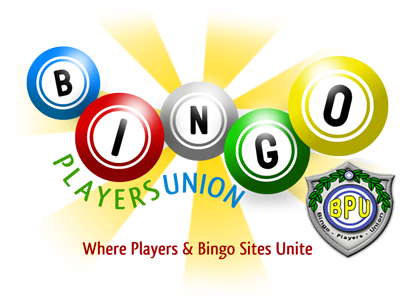 As online bingo players with a common interest, we need to care about each other. We need to stand united against what we feel is wrong and rally around what we feel is good for us as a whole... not as an individual. I have seen great friendships in this online bingo. I have seen backstabbing. I have seen those who give and give and those who take and take and then take some more. I say care about your fellow player. BE that friend you want to have. Protect each other. Stand up for each other, no matter the cost. I am finding that what you lose may be worth it. Find and maintain your integrity. Money absolutely cannot buy true integrity! Thats quite a good point really but I guess theres two sides to the coin. Although these 'free bonus' players are most probably decreasing our chances of a payout I still think they add to the community and make it more interesting. After all, bingo is built around community right?